LittleMachineShop.com carries a complete line of 3-jaw lathe chucks, 4-jaw lathe chucks, and lathe chuck backplate adapters for small lathes. Increase the capacity of your mini lathe by replacing the standard 3" lathe chuck with a 4" lathe chuck and adapter. With a lathe chuck adapter, a larger lathe chuck becomes a bolt-on accessory. LittleMachineShop.com has lathes and milling machines for benchtop machinists. The LittleMachineShop.com HiTorque machines are the best in their class. they has the most power and the most torque than other machines in their class. The brushless DC spindle drive motor provides tremendous low-end torque. And you can vary the speed from 50 RPM to 2500 RPM continuously. There are no gears to shift. And, with no gears in the spidle drive, the HiTorque machines are the quietest in their class. The HiTorque Mini Mills feature a larger X-Y table than other mini mills, along with an R8 spindle. Our HiTorque Lathes can make every American Standard thread from 4 to 80 TPI, and every American Standard Metric thread from 0.3 to 8 mm. The LittleMachineShop.com HiTorque Lathes are the best in their class with the most power, and the most torque. Get all the features you need in a bench top lathe. LittleMachineShop.com has the boring tools you need for your shop. We carry boring tools for your lathe and your mill. LittleMachineShop.com offers CNC milling machines specifically designed for the hobby and prototype market. We carry machines and tooling that provide a complete CNC solution while honoring the budgets of home machinists and small shops. Until recently, home machinists relied on conversions of manual mills as a means to adopt CNC technology into their shops. This process involved considerable work and often resulted in the machinists building a machine instead of building parts and tools. The CNC solutions offered by LittleMachineShop.com are factory built as CNC machines, requiring no modifications. Now, bench top machinists can deploy CNC in their shops without having to integrate the mill, ball screws, stepper motors, drivers, power supplies, and breakout boards. Most people are unfamiliar with those components, much less how to integrate them into a working CNC machine. Our CNC machines are perfect for the bench top machinist who wants to spend time creating, not build a machine. The power supplies and controllers are built into the mill. All machines are designed with an integrated suite of tooling, software, and optional equipment. Our commitment to quality and outstanding customer support means that we constantly evaluate our product offerings and compare them to the overall market. For many years, we have carried CNC machines made by Tormach, a leader in the personal CNC market. Outstanding machine and tooling design has been a hallmark of the Tormach brand. While Tormach is the leader in the PCNC market, their entry price point has been a concern for some of our customers that wanted to move into CNC milling for the first time. With the introduction of the Tormach 440, there is a now a Tormach CNC machine designed to fit all shops and budgets. As a result, LittleMachineShop.com now offers three Tormach PCNC machines, the PCNC 440, PCNC 770 Series 3 and the PCNC 1100 Series 3 personal CNC mills. In addition, we offer a full range of tooling and tooling packages for all of our Tormach machines. If you are in the market for a high quality CNC Lathe, check out the Tormach 15L Slant Pro CNC Lathe by visiting CNC Lathes on our menu. We carry Morse taper, R8, 5C, 3C, ER and Brown & Sharpe collets. All our Morse taper and Brown & Sharpe collets are available individually as well as in sets. LittleMachineShop.com has bed extension kits for mini lathes, air spring kits for mini mills and more. Metric threading kits let you turn metric threads on your mini lathe. All of our conversion kits come with complete step-by-step instructions. LittleMachineShop.com has cutting tools for your bench top lathe including presharpened and unsharpened high speed steel tool bits, cut-off blades, center drills, threading tools, and indexable tool bits. LittleMachineShop.com has cutting tools for your bench top mill including high speed steel end mills, indexable end mills, dovetail cutters and more. We carry a full line of digital position readouts for lathes and mills. LittleMachineShop.com has R8, 3 Morse taper and 2 Morse taper end mill holders in all sizes. They are available individually or in sets. We carry the Tormach quick change tooling system for mills. And we have end mill holders for Taig and Sherline mills. Edge finders, tap guides, Pee Dee thread measuring wires and magnetic test indicator holders at LittleMachineShop.com. Finding a gift for a machinist can be a challenge. We’ve compiled a list of items that any machinist would be pleased to receive as a gift. These gift items can be used with any machine, so you don’t need to worry about compatibility with a particular lathe or milling machine model number. And many of these gifts are items that everyone can use a few of, so it’s okay if the lucky gift recipient already has one. LittleMachineShop.com mini lathes are all best-in-class products. Whether you want an economical starter or a top-of-the-line machine, LittleMachineShop.com offers full featured machines. LittleMachineShop.com mini mills are all best-in-class products. Whether you want an economical starter or a top-of-the-line machine, LittleMachineShop.com offers full featured machines. The diamond pattern created by knurling allows you to get a better grip on round objects. LittleMachineShop.com has knurlers specifically designed for small lathes. LittleMachineShop.com has a full range of vises for your mini mill. Choose from economical quick vises, toolmaker's vises, screwless vises, and precision milling vises. No matter what your need, we have a vise to match it. LittleMachineShop.com has all the accessories for your mini lathe. We carry steady rests, faceplates, live centers, dead centers, lathe chucks, boring bars, indexable turning tools, collet sets, cut-off tool holders, and knurlers. Model engine plans and kits at LittleMachineShop.com. A full range of tools and accessories for the home shop machinist, including everything for your mini lathe and mini mill. LittleMachineShop.com has the most complete selection of Morse taper products around. 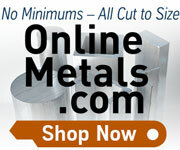 We carry all the Morse taper products you need for your bench top machine shop. Our products include Morse taper collets, Morse taper end mill holders, live centers, dead centers, indexable end mills, and drill chuck arbors. Starrett, a leader who has set the standard for fine precision tools in industry for over 120 years, has rightfully earned the title, "World's Greatest Toolmakers". LittleMachineShop.com carries Starrett products, so you can choose products that will last a lifetime. Get great measuring tools as well as premium-quality saw blades. LittleMachineShop.com has many tooling packages that will save you money when you are setting up a new machine. Tormach personal CNC milling machines are benchtop vertical bed mills. Tormach PCNC mills are used in prototyping, education, home shops, small-run production, custom manufacturing, and light industrial applications. Tormach PCNC mills are engineered from the ground up to provide years of service and affordable ownership with rigid cast iron construction, precision scraped sliding surfaces, proven mechatronics, and robust electronics. LittleMachineShop.com carries three models of Tormach PCNC Mills, the PCNC 770 Series 3, PCNC 1100 Series 3 and the PCNC 440. We also carry the Tormach 15L Slant Pro CNC Lathe, a multipurpose CNC Lathe that is ideal for the small shop. To view our full line of Tormach machines, tooling, CNC accessories, stands, cooling units and more, visit the Tormach brand link on our menu. Precision X-Y table assemblies for mini mills and micro mills. Extend X-axis travel and increase table area. These X-Y tables are great additions to mills made by brands such as Grizzly, Cummins, Harbor Freight, Micro-Mark, and others. See our compatibility information for details.